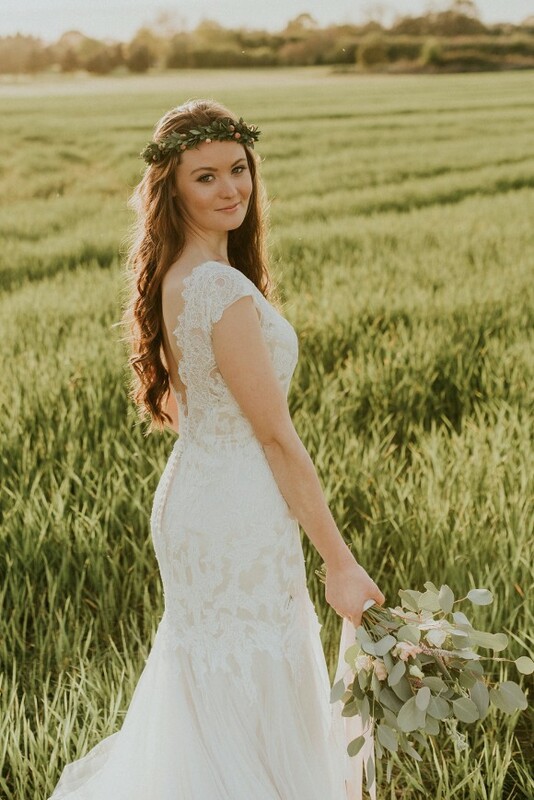 If you’re still on the hunt for that one perfect dress for your wedding day, this afternoon’s post may be of extra interest as we introduce new Brides Up North Sponsor, Felicity Cooper Bridal, to the blog. Set up by talented designer and boutique owner Fiona Cooper in 2010, the stunning brand has gone from strength-to-strength and is now stocked at select dress shops in the UK and Europe, with Fiona’s own shop, The Wedding Boutique, in Cheshire, being the Flagship store for Felicity Cooper. Dress designs are created with brides’ requests in mind resulting in fashion forward gowns that are guaranteed to turn heads. From dreamy lace Boho designs to elegant silk chiffon gowns, ladies making a decision on just one could be tricky! When and why did you first set up Felicity Cooper Bridal and what is your background in the fashion and bridal industry? fiona says: I opened The Wedding Boutique Cheshire back in 2008. From listening to brides’ like and dislikes we decided to create a bridal label that would fill the gap we had in the boutique. This went from strength to strength and in early 2016 we made the decision to relaunch The Wedding Boutique as the flagship store for Felicity Cooper. What type of bride is a Felicity Cooper bride? 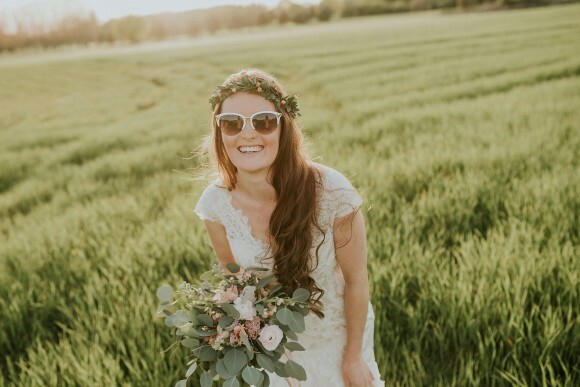 A Felicity Cooper bride ultimately wants to have fun; she’s relaxed and fashion forward, she wants to stand out from the crowd through flair not fuss. How would you describe the look and feel of Felicity Cooper designs? Both First Love and the 2017 Natural Soul collections have an emphasis on fabric and cuts, flowing lines and low back detail. The new collection is bringing more embellishment and beading with a hint of colour. Are there any particular fabrics and or detailing that you like to work with? We love silk chiffon for its fluidity and movement as well as the cotton lace we use on our Gabby, Halle and Arabella designs, which has a real retro vibe. Can you give us an overview of your current 2016 First Love Collection? 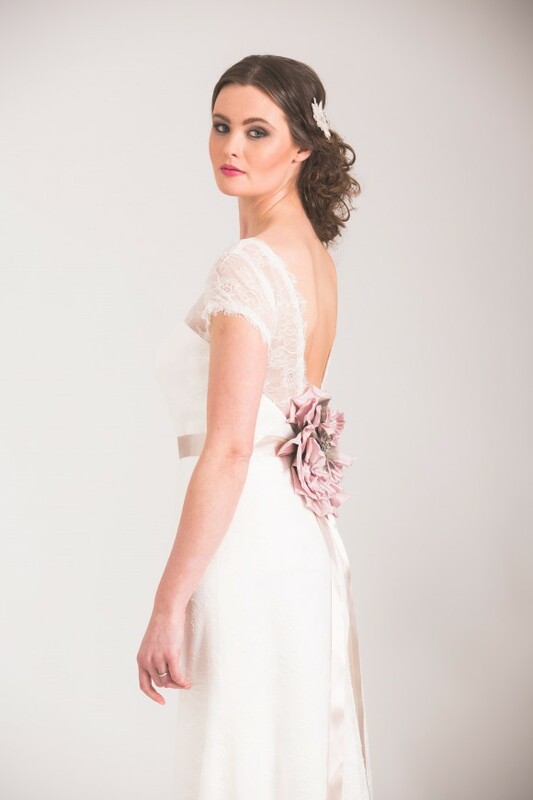 The first love collection was for the understated, sophisticated bride. Eva being our most popular style from that collection. Do you have a particular favourite design within the collection? I particularly love the Halle dress for the unusual lace and the low back detail. 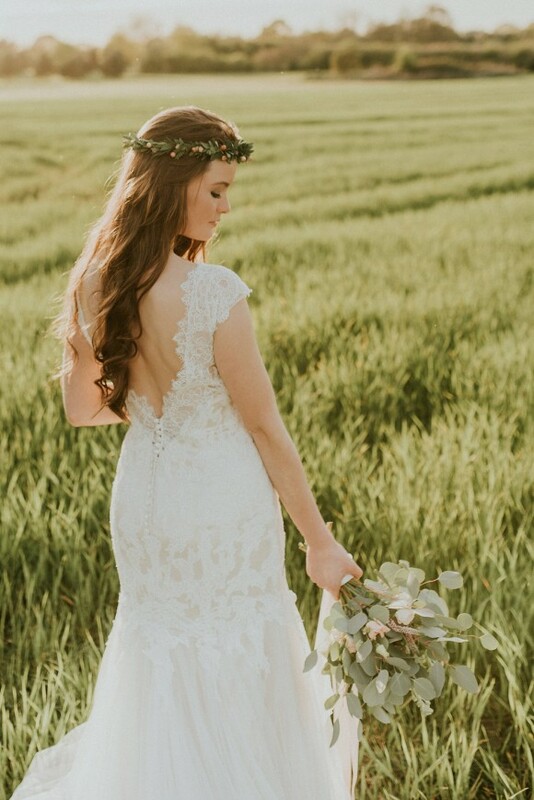 It suits a cool bohemian bride, a wedding look that I adore. Are there any details about the new 2017 collection that you can share with us? The Natural Soul collection is a fantastic eclectic collection, covering every dress shape and fabric. We have lots of colour shades as well as different embellishment styles too. It’s definitely the best collection yet! 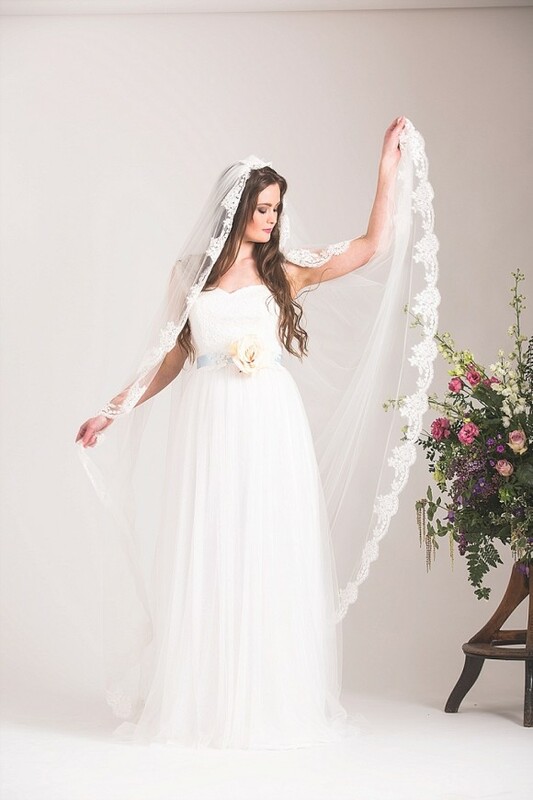 I take inspiration from everything around me really, but mainly our brides who come into the boutique. Also the fabrics I find, I see a fabric and think oooohhh that would look great on a certain silhouette. What size range of dresses do you offer? We can order dresses up to a 22 but our flagship boutique samples are 10, 12, 14. What is the price range of Felicity Cooper dresses? The RRP is £1,400 to £2,220. Where are Felicity Cooper designs stocked? The full collection is in our newly launched flagship boutique in Knutsford, Cheshire. 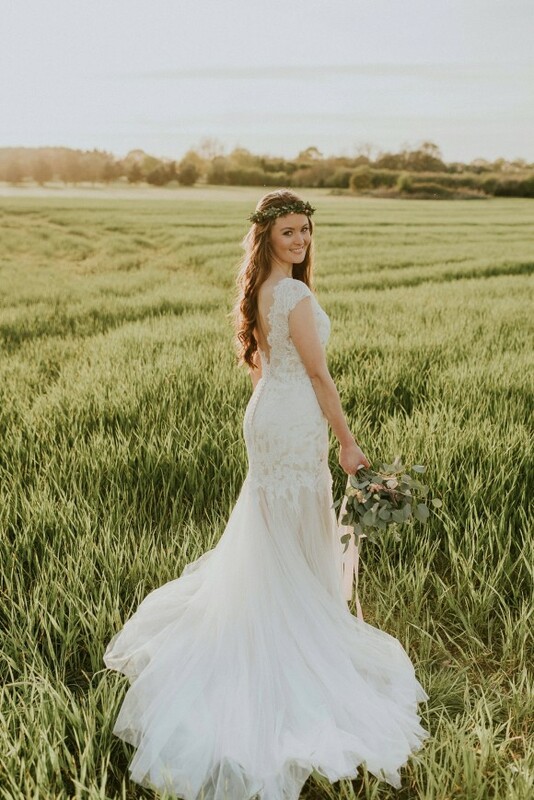 We also have: The Little Pearl Bridal Boutique in Pickering, Yorkshire; The White Boutique in Leamington Spa; Heritage Brides in Hertfordshire and Au Boudoir Du Mariage in Geneva. What research or preparation would you advise brides to do before visiting a boutique in search of their dream dress? If you have a particular fashion style research boutiques who stock designers who you like the look of and offer a service which suits your style. Can you forecast any future trends that will be coming through in bridal wear? I think colour will be even more evident in 2017. Lace will remain popular but I think there will be a move to more simple fabrics with accents of lace. Meeting the brides-to-be, hearing about their day and helping them find their dream dress. Creating bespoke designs is such an enjoyable part of my job too; sitting with brides, discussing what they are looking for and sourcing the perfect fabrics to create the finished look. What sets you apart from other bridal designers? We try to test the boundaries of traditional bridal design, using fabrics that we haven’t seen before. 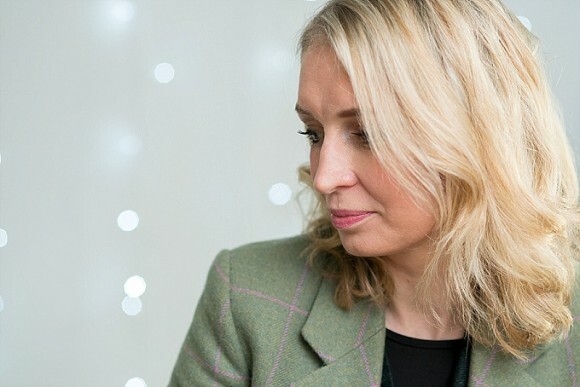 How can Brides Up North readers get in touch or see more about Felicity Cooper Bridal? Visit our website. We are also really active on social media updating Instagram, Facebook and Twitter with sneak peeks of our new styles as well as inspiration on Pinterest. Felicity Cooper HQ is buzzing at the moment, with new stockist enquires coming through all the time. We hope to increase our stockists to ten this summer and in June will start working on 2018, which seems crazy but the production of a new collection takes time. We look forward to inviting lots of brides to the flagship boutique over the coming months and also supporting our lovely stockists. For more visit the Felicity Cooper Bridal website.